Different forums have different rules but generally when you edit or use parts of other people's work, most seem to like it if you credit those people in your project. Whether you agree with that or not, I do... and I've become something of a crediting whore as I edit maps. 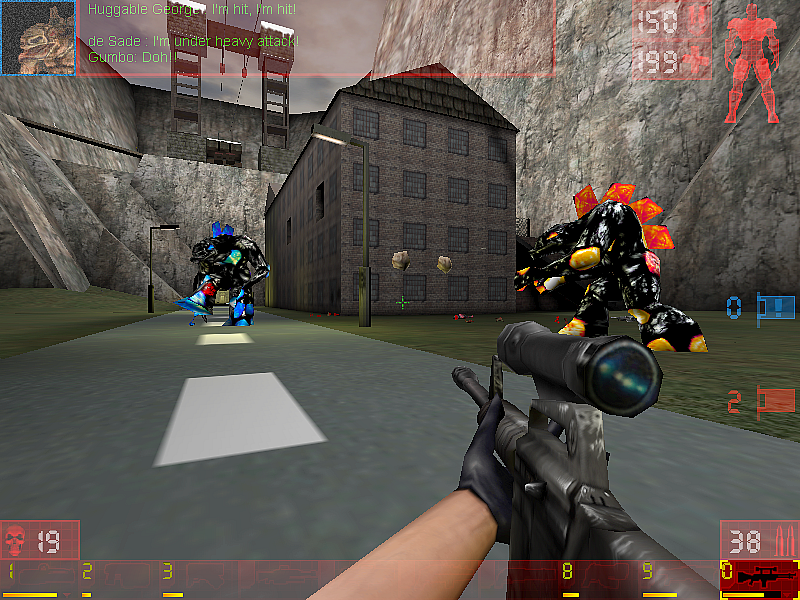 On several of those edits I've been using the UTDMT (Unreal Tournament Deathmatch Titan) which is basically a large bot that throws boulders. The extremely foul-mouthed thing was created by GorGor... who has seemingly disappeared from the UT-landscape. I'm good at tracking folks down who've gone away from UT, but I'm at a loss for finding him. Was hoping maybe someone could point me in the right direction, as I'd like to see if he ever made UTDM for (warlords, skaarjberserkers, etc.) other monsters of a similar type. Does anyone know what happened to GorGor?